I am a complete organizer with out a doubt I like to have everything labeled from make up case to my documents. If I dont I feel that I wont find what I need. I have tried many labels and none of the stick or if I accidently write something wrong I cant erase it, I have to get a new label. Well this is where the chalkboard labels come in to effect. 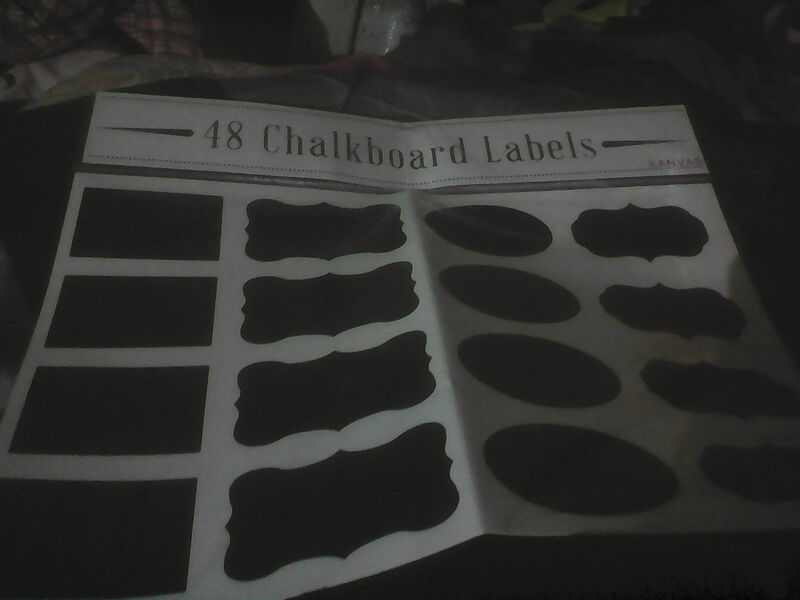 The one I got has 48 labels . Does not come with the chalk but if you have kids then there is bound to have chalk in the house. What is great any misspelling you have done, or you change what was in the contanier. This are great for kitchen , bathroom , if you have more then one child you can easily use these to seperate there items with these labels. Plus erase them is easy , you can us a eraser like they use is school or a little water on a paper towel.